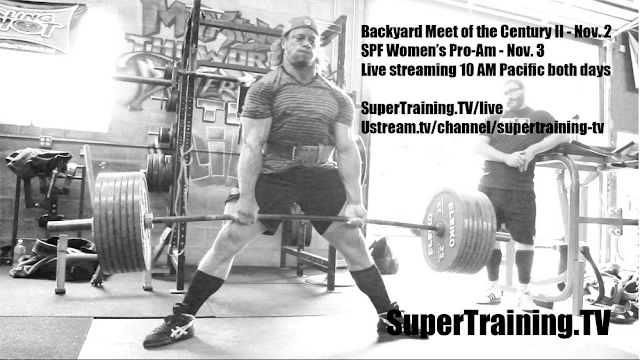 I'll be competing in the Women's Pro/Am Meet this Sunday. I go up on Saturday to weigh in at 5pm. Fingers crossed I finally make 75kg FOR ONCE IN MY LIFE SINCE SURGERY! If it all works out, you'll be hearing from me. Then I attempt to hoist enough to earn the SPF Elite Lifter title. The only lift I'm worried about is the deadlift. Making weight affects my deadlift, as does the fact that it's the last lift of the day, after everything else and two endorphin spikes and crashes.